New Jersey Governor Chris Christie once again called on the federal government to have Cuba return a convicted cop killer who fled to the island nation decades ago. Joanne Chesimard was convicted in the murder of Trooper Werner Foerster 40 years ago Saturday, March 26th. He was killed during a firefight following a traffic stop on the New Jersey Turnpike in 1973. Chesimard was sentenced to life in prison, but escaped prison in November 1979. She eventually fled to Cuba and was granted asylum by Fidel Castro. 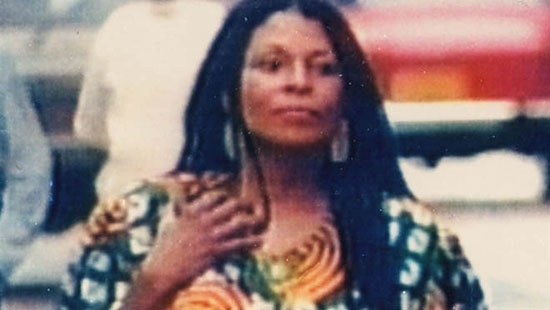 She goes by the name Assata Shakur, and is also known as the aunt and godmother of rapper Tupac Shakur. Christie appeared on Fox News Channel's Tucker Carlson show on Friday. He said, "This is something that Secretary of State (Rex) Tillerson and others in the Trump administration should make a top priority, in any dealings they have with Cuba." Chesimard is on the Most Wanted Terrorist List with a reward of $2 million. A large brawl broke out in the stands during a celebrity basketball game at the Liacouras Center on the campus of Temple University on Saturday afternoon. It started between several men in the lower level on the arena. Punches were thrown and there was lots of shouting back and forth between the two sides. It went on for a while before any officials stepped in. There were no arrests and no one was injured. The game continued after the fight was settled down. Portions of the fight were caught on video. The game itself featured current and former Temple University athletes as well as several professional athletes from basketball, football, and boxing. Hip Hop acts Don Q, A Boogie, and Juelz Santana were on the bill to perform. There was also a lineup of Philly hip hop acts scheduled to perform including PNB Rock, DJ Diamond Kuts, and Nizzy Straws. Watch video of the brawl below. A driver in South Jersey is under arrest after crashing into a parked car, hitting a teenager, and then driving off with the teen hanging onto his hood. It happened on Friday in the parking lot of Piner Elementary School on East County Line Road in Lakewood, Ocean County. 23 year-old Terick DeBose of Toms River first struck a parked car. A 19-year-old man saw what happened and tried to keep DeBose from leaving. Instead, DeBose hit the accelerator and drove right at the teen. The victim jumped up to avoid the car and grabbed onto the hood. The driver continued down E. Countyline Road at around 40 mph for a quarter mile before he stopped to let the teen off. Police eventually caught up to him. DeBose is charged with aggravated assault with a deadly weapon, leaving the scene of an accident, and various motor-vehicle summonses. Watch video of the incident below. Teen riding hood of car.